We went for a few days over the week of 4th of July. Our spot was great, #65 and activities were fun. However my husband and 5 year old took the shuttle over to the pond to fish. We didn't know it was 2 miles away. They waited for over 2 hours for a shuttle to come get them after telling the driver they would be taking the 3:30 shuttle back. Finally a shuttle stopped but the driver, a different one, tried to refuse them a ride because he wasn't told to pick them up. Not cool! Finally he relented but was less than hospitable to my husband and kid. This was our first time at a jelly stone. It rained a lot but kids had fun. We may try a different jelly stone in another state. | great place for the kids! we really enjoyed our campsite, plenty of things to do! Kids had an amazing time! only negative I would say is the bathrooms were really gross at all times, people complaining about the cell service your camping! unplug! 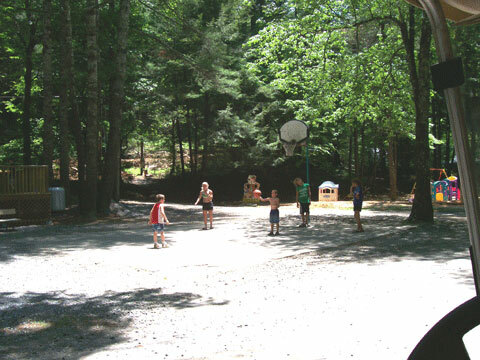 Yogi Bear's Jellystone Park™ Cherokee in Cherokee, North Carolina, is where the good times and fun shine everyday! 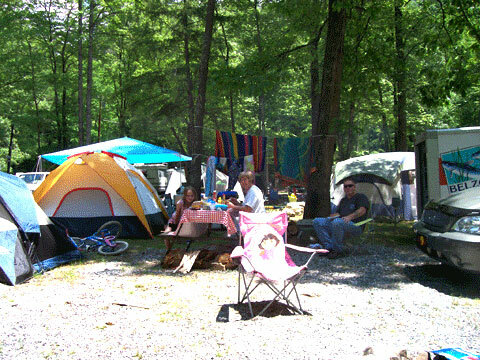 Our campground features comfortable cabin rentals and camp sites, nestled deep in the Great Smoky Mountains. 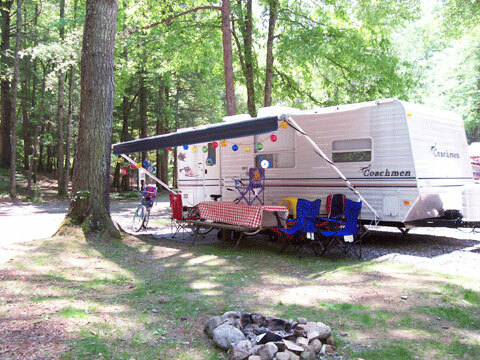 Yogi™ In The Smokies offers a total of 138 campsites and 38 air-conditioned cabins. Our sites can accommodate anything, from primitive tent camping, to big rig RVs that require 50 amp service. Free wireless internet and 48 channels from Direct TV satellite are available to our guests. If you're looking for a unit to rent, we have everything from basic simplicity cabins, to full leaded family lodges. Once you arrive, you'll discover that it's hard to go back home. Go for a refreshing swim in our beautiful pool, or stretch out and enjoy a good book by the poolside or under a tall, shade tree. From Memorial Day to October, Yogi™ and his friends have a fun-packed calendar of activates that everyone can enjoy! 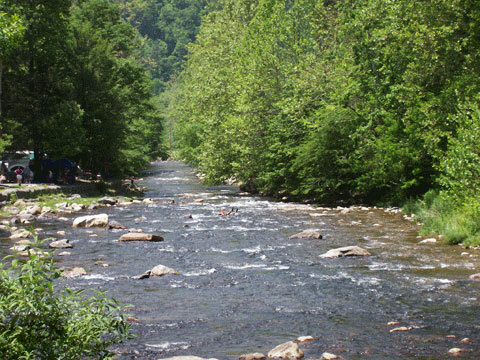 Raven Fork River is just off the bridge, beside the campground entrance, and is perfect for fishing. Numerous North Carolina area attractions are nearby, including Harrah's Casino and the Blue Ridge Parkway. Catch a great show from the likes of Brooks & Dunn or Winona, or treat you and your family to a wonderful dinner. Come see for yourself why others have chosen Yogi™ in the Smokies as their camping destination in North Carolina. At Jellystone Cherokee, the FUN shines on forever and the good times never end!